The memorial is on a median on North Main Street, north of its intersection with West Scott Street / East Scott Street / U.S. 45, Fond du Lac, Wisconsin 54935. See also, Memorial to Those Who Served in the War with Spain (1898-1902), also at this location. 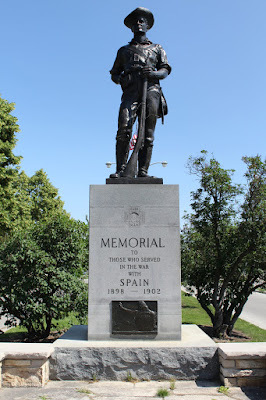 Memorial to Those Who Served in the War with Spain (1898-1902). The memorial is at the entrance to Lakeside Park.